For how long do we keep witnessing the fall of a university that once aroused hope in the possibility of a public institution? When a university decays, its symptoms can be seen everywhere. Unhappy students, discontented teachers, the normalisation of fear psychosis and a culture of surveillance. One feels that the Jawaharlal Nehru University is falling apart. Amid this pessimism and pockets of resistance, the university held its second convocation ceremony. Paradoxically, it was held outside the university – at the AICTE auditorium in the national capital. Does this indicate something? Has the administration begun to suspect its own space? Is fear infectious? 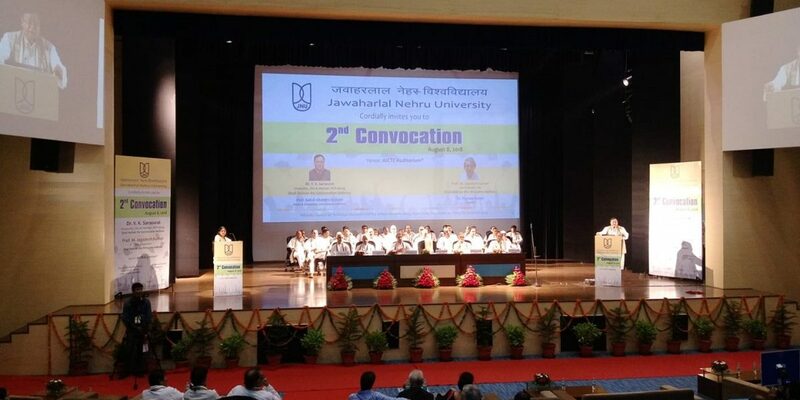 However, when I opened my official mail, and saw the circular informing us of the ‘minute to minute’ programme for conducting the convocation ceremony, I could not bear it any more. It hurt my self-dignity (and I am sure this is equally true for many of my colleagues). Before I narrate the story of my pain and anguish, let me reveal the structure of the programme: a perfect technique of ‘hierarchical observation, normalizing judgment and meticulous splitting of time’. THE STUDENTS/INVITEES WILL MOVE SCHOOLWISE/CENTREWISE ONLY TO COLLECT PACKED LUNCH. Despite my ‘gentle anarchy’, I do acknowledge that a programme like the convocation ceremony requires some decorum. Yet, what repels me is the militarisation of time – its tone, its language, its harsh ‘disciplinary’ practices. Take, for instance, the ‘performance of army band’. Why is it needed? Or is it that the JNU administration too is giving its consent to the growing militarisation of consciousness – an inevitable product of anti-Gandhi/anti-Tagore hyper-masculine nationalism? Is it that a place of creative ideas, academic innovations and radical experimentations needs to be taught a lesson: follow the army discipline and sing in tune with its robotic performance, its ritualism? What irony – a university that has seen the articulation of fairly innovative artistic skills in many of its creative posters has to be awakened by the BSF/army band. It is not easy to digest this metamorphosis (more frightening than what Franz Kafka depicted in his masterpiece). Possibly, we are being perceived as potential ‘anti-nationals’ (or ‘urban Maoists’). Otherwise, what is the reason to be reminded of the order to stand up at the time of the national anthem? Or is it that we have not yet grown up as responsible adults? Are we like naughty schoolchildren refusing to be ‘disciplined’ at the time of school assembly? Is it a beautiful ceremony that awakens the fond memories of the university life amongst its graduates? Or is it an army camp teaching us the lessons of what Michel Foucault with his characteristic wisdom regarded as ‘the ceremony of power’ filled with the exercise of ‘disciplinary’ time characterised by the constant gaze of surveillance? Not solely that. The administration, it seems, thinks that as students and teachers we have no sense of civility; we are eternally hungry, and restless to loot the ‘packed lunch’. Otherwise, how do you explain the instruction: ‘Move schoolwise/centrewise only to collect the packed lunch’? Yes, this is the way we spread the psychology of fear, the practice of surveillance, the culture of spying, rivalry and mysterious whispering. The university decays, the ethos of meaningful learning suffers; the collegial relationship is poisoned. 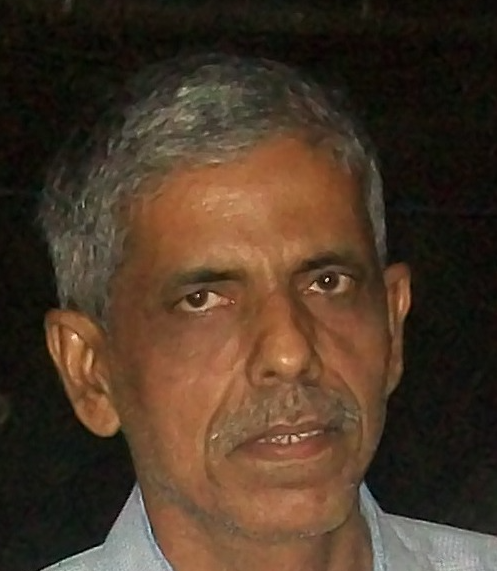 Avijit Pathak is a professor of sociology at JNU.